I'd make the chances of Tiger catching Jack low but not impossible. As Woods himself noted after the win, all styles of players can win at Augusta if they know how to play the course (that is, error avoidance). Koepka finished second and not first because he had several double bogies mixed into his 72 holes and I don't believe Tiger did. It's a place where a great player can contend for a longer time span. I don’t know if you can look at a guy’s mistakes in a vacuum like that. For example, sure - Koepka had two double bogeys to Woods’ zero. But he also had two eagles to Woods’ zero. You can just as easily say that Koepka, and the two others at -12, finished second because Woods hammered his shot on 16 to four feet. Best smartass take I wish I’d come up with: Tiger isn’t “back” yet, he hasn’t won a full-field event. The last is absolutely true. But I have heard countless pros over many years that the key to winning majors is to never make double bogies. Who had the best coverage story or column on The Masters final round? Please share those stories and columns. 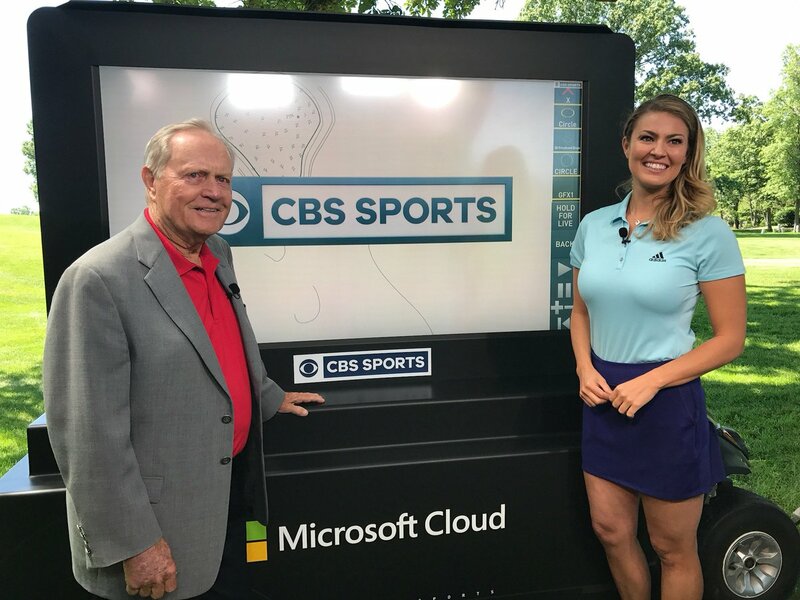 Sunday’s final round of the Masters, which was moved up several hours to avoid inclement weather, earned an 7.7 overnight rating on CBS — down 11% from last year (8.7), but up a tick from 2017 (7.6). CBS began coverage at 9 AM ET, compared to a 2 PM start in previous years. The Golden Bear meets The Golden Pair. There were storm sirens going off in the background just as CBS Radio was winding up its coverage. This is key though: "An encore presentation of the final round delivered a 3.4 overnight from 3-7 PM ET. Combined, the live and encore telecasts grossed an 11.1 overnight. That would be the highest for the Masters since 2010, which marked Woods’ return to golf following his marital infidelity scandal (12.0)." How many olds didn't/ weren't paying attention and just tuned in at the normal time and watched the replay?